Even if geography has never been your strong point academically, you likely know that the Amazon rainforest covers a vast expanse of territory in South America. Termites are certainly problematic in the United States, but termites, taken as a whole, generally prefer tropical climates. 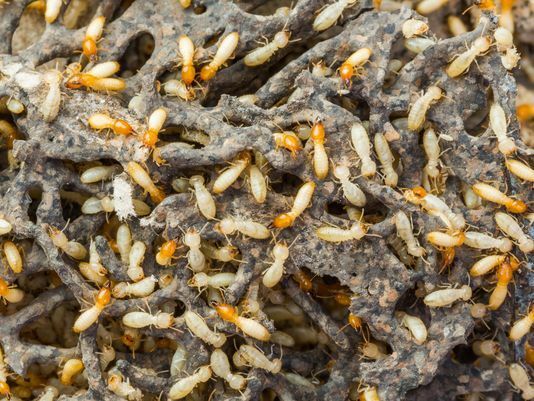 Out of the more than 3,000 termite species already documented, most dwell in the tropics, and a very small percentage of species are considered structural pests. You may think that the world has more than enough termite species, but as it turns out, there could exist more undocumented termite species in the wild than documented ones. The reason for this is due to the pedestrian-unfriendly terrain in the Amazon rainforest where a massive amount of termite species currently dwell. It is well known that termites consume dead plant matter in order to acquire cellulose. Therefore, tropical rainforests are in great need of native termites. If all termites were to somehow be removed from tropical rainforests, then rainforests, at some point, would cease to exist, as the soil’s surface would become smothered by dead plant matter. In just one single rainforest in Cameroon (a tropical country in Africa) the collective biomass of termites is estimated to exceed one ton. Most termite surveys have been carried out in Africa, which explains why the majority of documented termite species are natives to Africa. However, data concerning different termite groups and populations in South America is scant due to the Amazon Jungle’s hard-to-navigate terrain. Although numerous termite species have been discovered in the Amazon, researchers may not have even scratched the surface when it comes to identifying the termites that dwell in the massive rainforest. The termite species that have been discovered in the Amazon are the types of species that build conspicuous nests that are easy to locate. Many of these nests are clearly situated on tree limbs, and large columns of termite mounds can be seen from great distances in the region. Therefore, it is fair to say that there must exist numerous termite species located deep in the Amazon rainforest that have yet to be documented by researchers. At the moment, 238 termites species have been recorded in the Amazon, which is only eight percent of the known termite species. Considering that the Amazon rainforests covers an area of 5.5 million square kilometers, 238 seems like a low number. Furthermore, one group of termites, subterranean termites, are very difficult to locate as they dwell largely beneath the soil’s surface, and researchers often face difficulty recognizing new termite species, as their morphological features can be hard to discern. Due to this lack of data, there is now a renewed interest in Amazonian termite species among entomologists and ecologists. Would you enjoy searching for new termite species in the Amazon as either a scientist or citizen scientist?